I must preface this post by saying I generally do not like hair spray. The build-up. The aerosol. The smell. Maybe I have some PTSD from overusing my giant purple can of Aussie maximum hold in 1991, but I haven’t owned a can of hair spray for years. I recently went on a mission, however, to find the right spray to hold my loose waves that were falling flat fast after my recent keratin treatment. I was amazed to find FIVE that I love. These aren’t the pungent drug store cans of the past. These sprays are so lovely, I have been asked more than once what perfume I’m wearing. And I don’t wear perfume. What’s best, though, is that they provide stellar yet soft hold, and, in many cases, UV and humidity protection. Here’s to touchable, brushable hair that lasts. I used this spray all summer because it has the brand’s patented anti-humidity protection that I swear by. It provides a soft hold and I easily used it for a few days in a row without my hair feeling filmy. This is the big sister to Oribe’s amazing, original Superfine hair spray. I use this when I need extra hold and I’m not messing around. Oribe’s hair sprays are amazing because they also provide some shine, thanks to wheat proteins and plant-derived humectants. It also smells divine—it considers itself a lightly scented hair perfume. Bonus: it also provides UV protection. My other favorite for everyday, this beautiful spray is buildable to define styles and control the amount of hold you need. A true beauty luxury. A true hair care warrior, this powerful spray locks in styles yet is buildable. It also delivers 24 hour humidity defense. P.S. This shampoo and this hair cream are the start of a lasting blow-out. Fighting frizz is pretty much my second vocation. 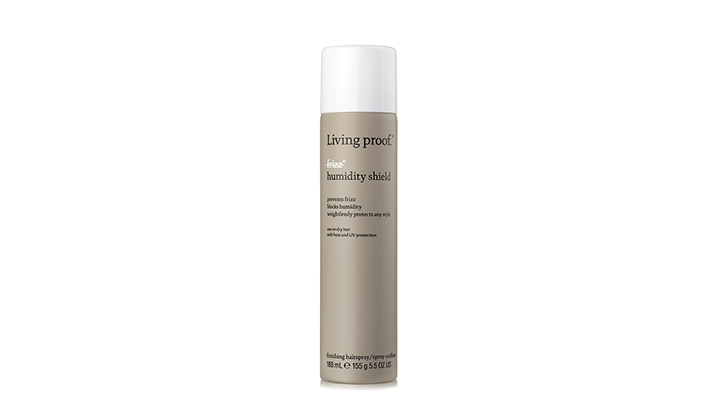 I’ve been a huge fan of Living Proof for years now (see here and here) and they never stop amazing me with innovative products that truly work. This super light spray has been a daily part of my summer routine and my hair has managed to look smooth in the swampy 96% humidity evenings we’ve enjoyed a lot lately here in the northeast. What’s most amazing to me is that there’s no build-up, even though I use it multiple times between washings. As always, there’s also no parabens, sulfates or phthalates. I can’t get my girls out of the pool this summer. I would never spoil their fun, but I’ve been cringing inside at the thought of all the chlorine saturating their beautiful, silky kid hair. Then I discovered this amazing shampoo. Unlike most swimmers’ shampoos that use icky sodium thiosulfate to remove chlorine, Malibu C contains only natural ingredients. It’s gentle on hair but feels totally luxurious. Great for both kids and adults, it made my hair soft and shiny, too. What’s more is that it protects hair between shampoos by infusing it with powerful antioxidants. Derived from coconut, loaded with rice and flax proteins, plus vitamin B5, Malibu C Swimmers Wellness shampoo is also free of sulfates, parabens, gluten and sodium chloride. It’s the only shampoo I’m using on my kids all sumer. And for $15 it’s a no brainer. P.S. I still hate getting my hair wet so I’ve been logging my time in the pool wearing this miracle swim cap— under my SPF 50 sun hat. Why is dirty hair so awesome? Because it has TEXTURE. Texture from oil and sweat, wind and rain, hats and pillows. Grubby little fingers. I don’t know about you, but five days into a blowout, my hair has usually been through a war. 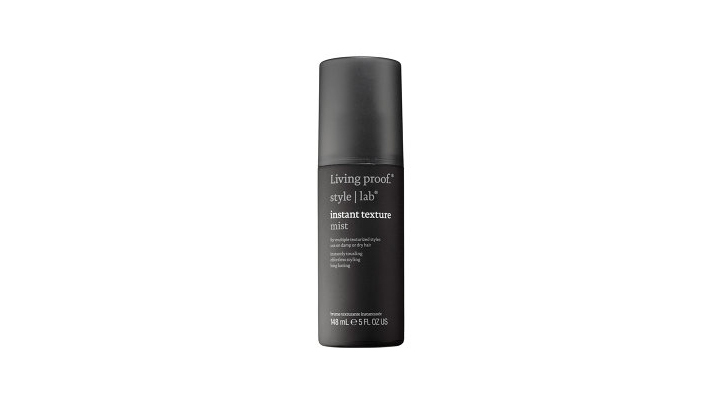 This Instant Texture Spray from Living Proof spares you the battle. I’m talking about Day One Texture, which is basically the unicorn of hair. I’ve been using it on a fresh blowout. I like to spray it on my hands and twist sections of my hair. Don’t be worried if it feels a tad stiff—just work it in. A lot of people love using it on damp hair, too. It’s formulated to work either way—and it lasts 48 hours. As usual, Living Proof has invented mind boggling hair technology here—in the form of a patented volumizing molecule and magnetic texturizer, people. And, as always, the product is free of parabens, sulfates and phthalates. Rejoice! You no longer need a combination of crunchy salt sprays, creams and pomades to achieve a tousled look. Just this, blissfully safe and easy to use mist. P.S. My favorite hair mask and essentials from Living Proof. P.P.S. Use this with a clipless curling wand for perfect beachy waves. Ok, so you know how you have a medicine cabinet full of Rx’s and remedies you may or may not use all the time? But they’re there, as they should be, for that one day (or middle of night) when you really, really need that (hopefully not expired) cough syrup from that brutal cold you had last winter. Well, I feel that way about my “hair cabinet.” I’ve got mousses, gels, smoothing creams, heat protectant spray, hair spray, shine serums, dry shampoos and leave-in conditioners I can’t live without, at least some of the time. And this difficult-to-categorize hair wax/pomade has had a permanent spot next to my Living Proof family for a while. 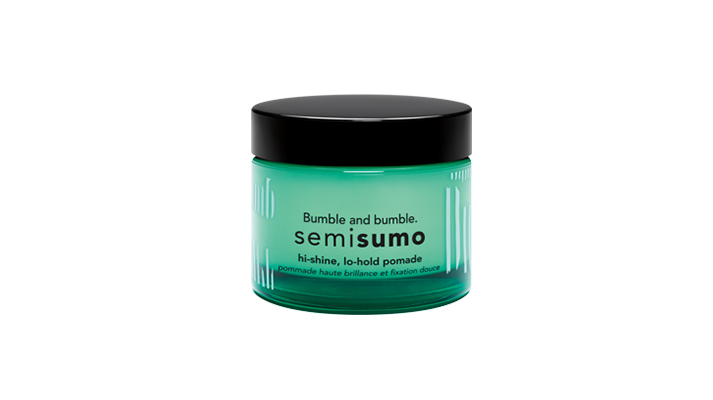 -to tame and add texture to a fresh blowout that might be too bouncy or big. -to keep fly aways down when wearing my hair back. -to tame my girls’ fly aways. -to get that “second day hair” look on any day. Oh, and I used it on my husband on Halloween to force a side-part on his very short hair. Make sense? You might have to try it to really understand. It’s one of those products you don’t realize you need, no matter your hair type. And then, one day, you experiment with some giant hot rollers and your hair is as big as Texas and you thank your stars you’ve got this little green jar of magic to turn your hair from Dolly Parton to Daryl Hannah in Splash, in a flash. I found myself applying smoothing cream to my hair more often than usual. My blow outs weren’t looking glossy and my hair seemed puffier and harder to tame. My hair, the one thing I can pretty much rely on being consistently good, was DULL. Then I tried this magic hair mask and all was right in the world. My hair was silky, manageable and looked impressively healthy. All traces of winter damage, curling wands and chemical processing, literally, reversed. I wouldn’t have believed the brand’s claim if I didn’t see the results myself: continued use of this mask can make your hair like virgin hair. If your hair needs any repairing whatsoever—and who’s doesn’t—this mask is a miracle worker. I could tell you how easy it is to use: just five minutes in the shower instead of conditioner. 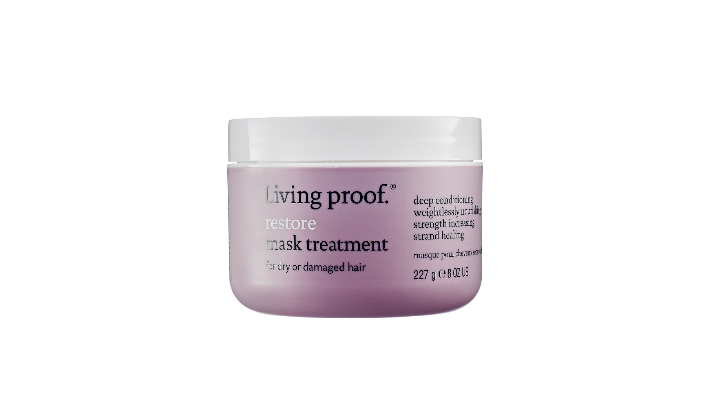 I could tell you that Living Proof’s proprietary technology actually restores the outer layer of hair, sealing in moisture, closing the cuticle, and thereby masks (no pun intended) and prevents damage. But, instead, I’ll just say: got to your nearest Sephora and buy the magic tub and thank me later. P.S. 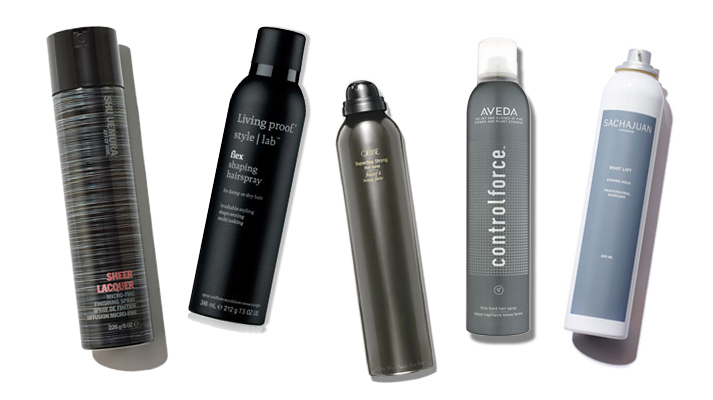 More of my favorite Living Proof products here.